The first day of my most recent 6,000 mile cross country trip included a drive north up the spectacular 105-mile Skyline Drive through Shenandoah National Park in Virginia. In stark contrast to that parkway, my drive that day was punctuated by a 26 mile spur of West Virginia, which links Virginia to Maryland via I 81, where the forests of that state were blighted by huge back-to-back double-decked outdoor billboards towering above the forest. While that may be marginally better than allowing billboard companies to clear cut huge swaths in either direction, like North Carolina recently has, it is still a jolting violation of Ralph Waldo Emerson’s 1836 revelation that no one owns the landscape or the “public right to view” nature. “Here is your country. Cherish these natural wonders, cherish the natural resources, cherish the history and romance as a sacred heritage, for your children and your children's children. Although dedicated and then replicated across the country during the 1930s by a Democratic President, the Skyline Drive parkway down the Shenandoah was initiated under another Republican President, Herbert Hoover, who had a cabin retreat in the valley below. Although the first parkway had been launched only a decade earlier, the concept and the term had been coined 63 years earlier by the landscape architects Olmstead and Vaux of Central Park fame according to the book Buyways: Billboards, Automobiles and the American Landscape, by Dr. Catherine Gudis. But soon a war broke out within transportation agencies that persists today. Some engineers couldn’t be bothered with roadsides, let alone treat them as parkland, preferring only the utility and function and efficiency of the roadbed. Even today, engineers who champion the aesthetic, environmental and economic benefits of unfettered roadsides are either siloed away within these agencies or exiled completely to other agencies altogether. Fortunately some highway engineers joined the roadside reform movement that arose in defense of the parkway movement even as the first federal-state efforts to fund motor vehicle roadways were launched before and after World War I.
home of the John W. Hartman Center for Sales, Advertising and Marketing Research and an archive of 16,000 digitalized images of outdoor billboard advertising at Duke University. Durham is also home to several generations of a family central to the parkway movement. Honored at Durham’s Annual Tribute Luncheon last month, the Teers began building roadways shortly after the founding of the Nello L. Teer Company in 1909 and the Federal Highway Act in 1921. 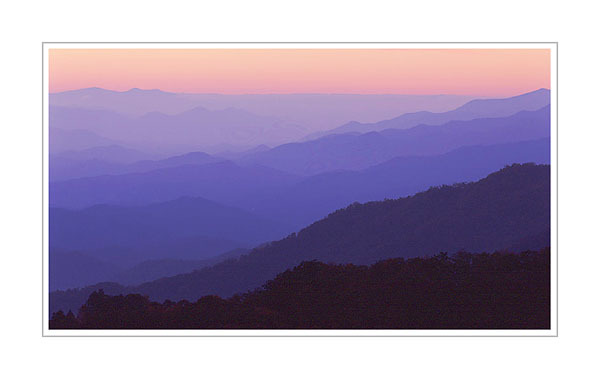 The Durham-based company was also awarded the first contract for the Blue Ridge Parkway to connect Skyline Drive and the Shenandoah down through North Carolina to the Great Smoky National Park. The company completed an astonishing 17 segments of the 77 year old Parkway. Now in his 90s, the son of the founder, Dillard Teer is still able to point out the locations of old WPA camps which served as an “employer of last resort” along the roadway during the Great Depression as the Blue Ridge Parkway was built. Fittingly, what is called “America’s Favorite Drive” was only completed in 1987 when the spectacular Linn Cove Viaduct resolved a significant conservation issue related to the final segment. Robb Teer continues his grandfather’s legacy by serving with me on the Durham Appearance Advocacy Group and as a member and former chair of the RDU Airport Authority, he is a strong advocate for appearance around the airport his grandfather help construct in 1939. Maybe it is time to revisit that notion of roadsides as parkland!